“The less prudence with which others conduct their affairs, the greater the prudence with which we should conduct our own affairs” – Warren Buffet. But as they say, prudence & elections never sail in the same boat. 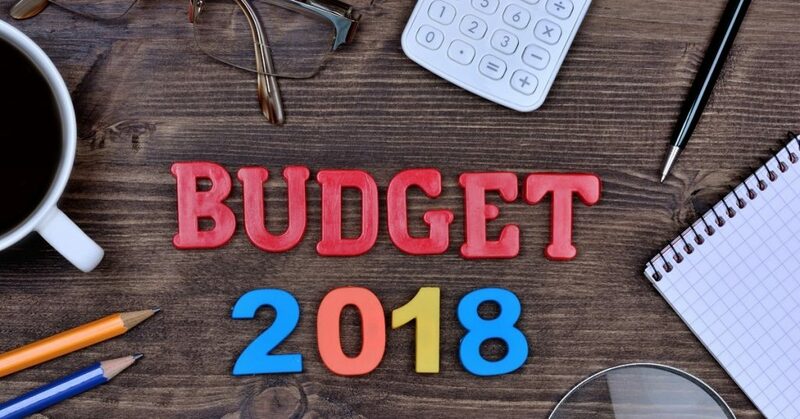 With the 2019 elections on the cards, the aggressive political attacks on the current government & the whirlpool of the economic reforms not yet settled, the current budget will make a “liberal” effort to woo all segments of the society. Predictions of deduction in taxes to “please” the middle class, increase in MSP to woo the farmers & the advent of 7th Pay commission will create a deadly trio of high disposable income reforms that can trigger a rise in the existing level of inflation. With GST collections being uncertain, expectations of a rise in international oil prices & government’s agenda of fiscal prudence by sticking to fiscal deficit levels, the chances of government opting for populist measures is highly unlikely. In the previous budget, the government has made efforts to boost employment in the service sector, but to meet the requirements of the economy, the manufacturing sector has to play a major role. To catapult the private investment in this sector, the government must rationalize the labour laws, land reforms & direct tax regime, all of which are long due. In this arena we expect the corporate tax to come down to 25% as promised by FM in 2015 budget, and an increase in the MAT credit entitlement years & changes in the DDT (Dividend Distribution Tax) framework. The corpus earmarked for the MUDRA scheme & NABARD bank must be increased keeping in mind the resolution of farm distress & astounding success of both the bodies. In the education sector, instead of creating new IIT’s & IIMs, the government must work on improving the infrastructure of the current institutions to meet the global standards. Grants allocated for research must be increased & work must be done to appraise the existing skill set of faculties & students. The FM’s proposal of creating the “institutions of Eminence” need to see the light of day. Connectivity will be a key to achieving govt.’s objective of increased trade participation with the ASEAN nations. North East India blends perfectly in these scheme of things. The corpus earmarked for the RCS (Regional Connectivity Scheme) Phase 2 can be increased for better aviation infrastructure in NE region. The railways budget for the NE sector must be increased to create more advanced dedicated freight corridors & using the build-operate-transfer toll based model of NHAI road infrastructure must also be given a push. Higher budget allocation for the implementation of BharatNet optical fibre network project will help link NE to the plains. In a nutshell, the FM will have to tread on a very thin line while crafting the budget in-order to vindicate the reforms agenda set by the PM, all the while ensuring electoral success for his government. That’s How Business Is Done!